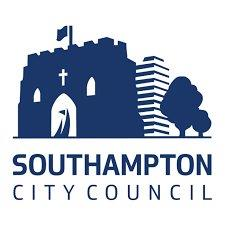 In a city with a rich and varied maritime history, and a wide range of Scheduled Ancient Monuments, including one of the finest intact medieval town walls in England; 450 Listed Buildings; 20 Conservation Areas and 3 Nationally Registered Parks and Gardens, this is a major opportunity to direct the future of heritage management and delivery across the city. You will be educated to degree level in conservation or equivalent professional level, with a minimum of 5 years of conservation experience. Experience of providing heritage advice on complex town or city centre developments would also be desirable. We are looking for a self-motivated individual, both able to work on your own initiative and also to support the work of the Development Management and Policy sections of the team, providing the sole point of contact on conservation matters. You will be expected to have a positive, solution-finding approach to work whilst achieving targets and deadlines, and on occasion to defend Council decisions at appeal. You will need excellent written and oral communication skills and be able to express with confidence to members, applicants, agents, stakeholders and the public, the heritage requirements and processes to fulfill the statutory functions of the planning process as they relate to the city’s built heritage. If you have a passion for the role heritage can play in successful city development, and feel you have the necessary background, experience and skills to undertake this challenging role we would like to hear from you. For further information about this role please view the job description or for an informal discussion about the post please contact Darren Shorter on 023 8083 3390. Working hours per week for this post is 37.